Registration is now open for the 2018 Creativity Camp! The Society of Great River Poets has been hosting Creativity Camps for adults for almost twenty years. The goal of the Creativity Camp is to enhance your creative spirit, and to allow you to learn and experiment with new outlets for your creativity in a welcoming, non-judgemental community. No experience in writing. arts, or crafts is necessary – the only requirements are that you are at least 18 years of age and are open to trying new things! Registration fee is $15 for Friday, $30 for Saturday, $30 for Sunday, or $60 for all three days. 7 PM: Campfire chat: share stories, poems, or music, or just listen and eat s’mores! 9 AM: Keys to a Successful Critique Group – Bring a poem or a page or two of prose so we have something to practice our critiquing skills on. Led by Stephen Brayton. The lodge includes a kitchen area, tables and chairs, AC and a wood stove. Sleeping in the lodge is an option if you bring your own mattress pad and don’t mind people coming in to work on projects or grab a snack during the night. No WIFI. 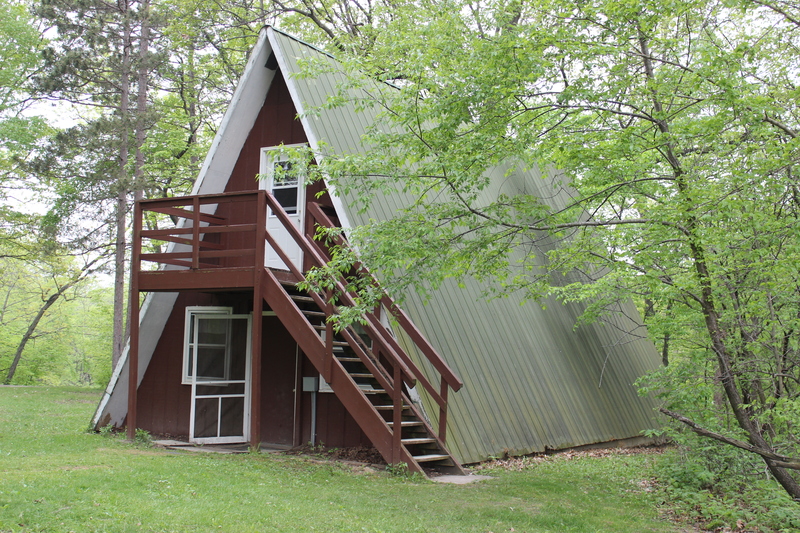 The A-Frame has two large rooms, one upstairs and one downstairs, with cots. Men sleep upstairs, women downstairs. Electrical outlets available. Restrooms and showers are in a separate building near the A-frame. Trails wind through Langwood’s 90 wooded acres. Trail maps will be available in the lodge. 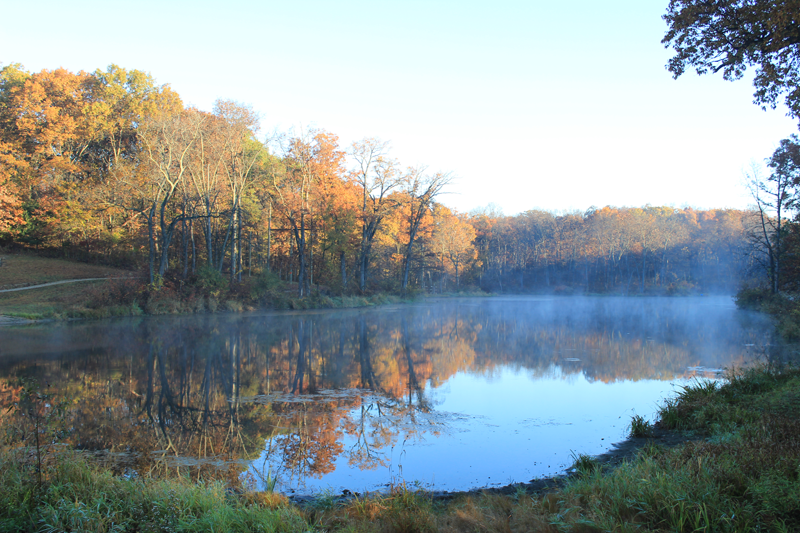 The pond is not large, but is set down in a secluded hollow to get that feeling of being out in the wilderness. Canoes, paddles, and life jackets (required) are located by the pond. For Workshops: Keys to a Successful Critique Group, 15 copies of a page or two of prose or poetry: Sharpie Tie-Dye, a white 100% cotton t-shirt or other item you want to tie-dye, washed and dried without fabric softener. Food: Bring your own food and beverages. 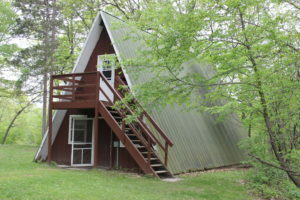 Coffee, water, stove, microwave, refrigerator available. Please put your name on your food packages if not using your own cooler. 90 minutes allowed for lunch if you want to go to a restaurant. General: water bottle; sunscreen; insect repellent; citronella candles; flashlight; lawn chair; old shoes for walking or canoeing; weather appropriate clothing; writing, reading, art, and craft materials of your choice for free time. For swapping or selling: If you have books, music, or craft materials you no longer want, you can put them on the swap table to give away. If you have artwork, crafts, books, etc. to sell, you can price and display them. Optional: musical instruments; Wine & beer in quart sizes or smaller are OK per county regulations; snacks or desserts to share. Folding table if you have one or have room to transport it. Copies of your writing/art to share.